The Amara View's incredible under the nose design makes it the only full face mask that won't cause red marks on the bridge of your nose when compared to other Full Face Masks. 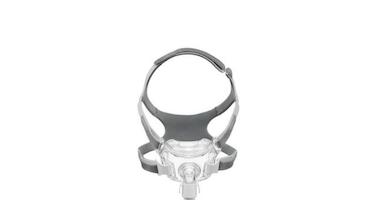 Amara View is also the smallest, lightest and has the widest field of vision of all leading full face masks. It's easy to wear glasses, read, watch TV, and use a computer or tablet before falling asleep. Amara View has no bulky cushion or frame in front of your face and eyes, features soft and comfortable fabric straps and has quick release tabs for easy on and off. Unlike most full face masks, Amara View's cushion size is determined by measuring the depth of the nose using the simple sizing gauge. It features Intuitive fitting adjustments and should fit loosely and comfortably.